Take a thrilling sojourn around the highlights of the unique flora- and fauna-rich islands of the Galapagos. From rubbing shoulders with prehistoric-looking giant tortoises and marine iguanas, to gazing up in wonder at the spectacular blue-footed boobies' synchronised fishing technique, the Galapagos offers the chance to see an abundance of rare creatures at close range. There are also heaps of opportunities to explore the underwater world of the Galapagos by snorkelling and diving in the surrounding waters - usually in the good company of playful sea lions and sea turtles. With just the right amount of relaxation, adventure and wildlife-filled awe, this Galapagos Venture is the way to see the very best of the Galapagos. Early this morning transfer to Quito airport for your flight to San Cristobal. This afternoon take an included visit to the Interpretation Centre and learn about the human and natural history of the Galapagos islands. Afterwards perhaps hike up to Frigatebird Hill or head to Mann beach and chill. Say goodbye to these enchanting islands. The flight back to Quito leaves at midday, we get back to Quito in the late afternoon. 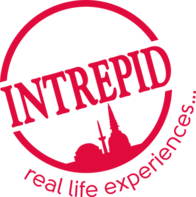 A representative from Intrepid will take you from the airport to your hotel, then you'll be free to explore more of Quito. You may like to get out and enjoy the nightlife of this vibrant Latin city.